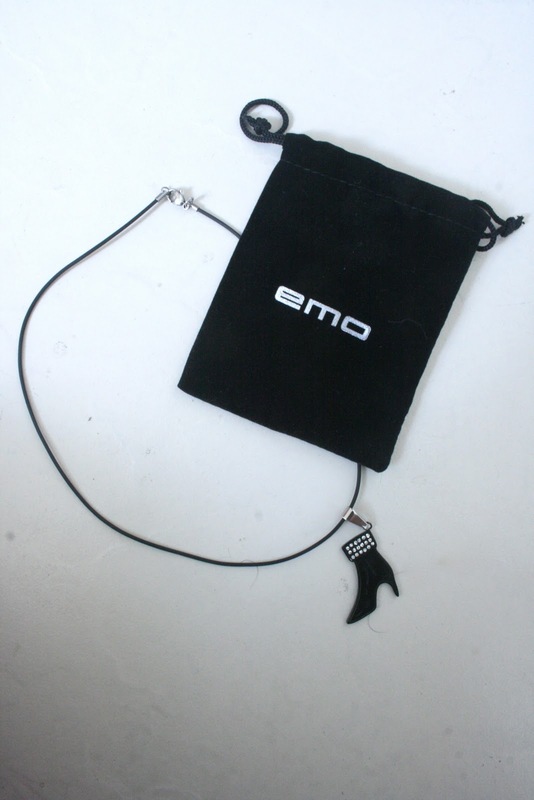 Have you heard of EMO Jewelry? The first time I saw the EMO store was actually in the Mall of Asia about a year ago. I remember giggling at the name and BBM-ing a picture of the store to my "emo" friend back in Bangkok. I think the problem there was that I associated the word "emo" with people who scried (screamed + cried) while listening to Dashboard Confessional and who had bangs so long that they covered their faces and you wondered whether they could even still see through their hair or not. That's why I was happy when Keigh Jalbuena invited me as her plus one for the EMO event last week. 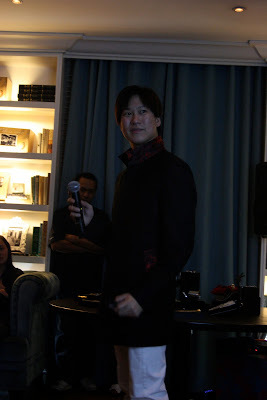 It was my chance to learn more about the brand and the brand name - something I had been itching to do since I first saw the store to begin with. I absolutely loved the interior of Cafe 1771. It's what I dream for my apartment to look like one day. Spotted on the right: Earth Rullan of Earthlingorgeous! Keigh epitomizing a good blogger! And that cuff!!! EYEGASM GALORE!!! It took absolute willpower not to whip out my credit card and buy all of them, I'm telling you. Anyway, another great thing about this event is that I was able to see all of my beautiful fellow bloggers again! It had been so long. I was in Bangkok for almost a month prior to this, so please excuse how I look in these photos... I gained 4kg there. Sigh. The TRIO: Ava Te of Artsy Fartsy Ava, Keigh and me. Please support us at BLISS tomorrow! 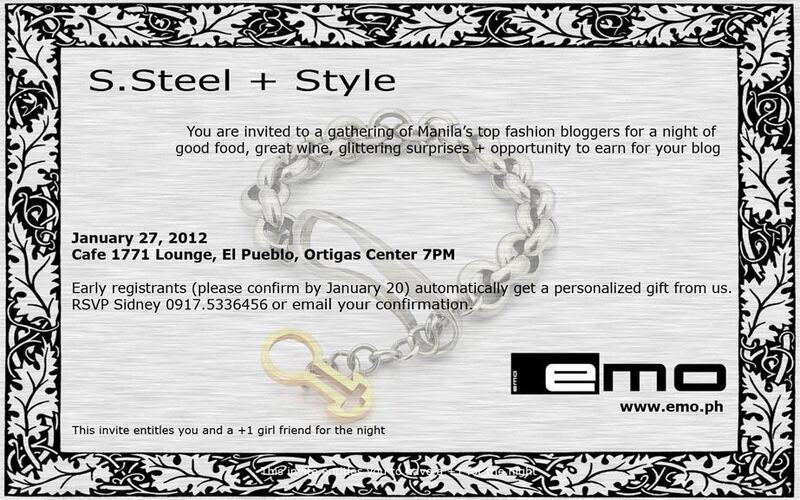 :) EMO Jewelry will actually be providing some of the jewelry that we will be using in the fashion show, as well. 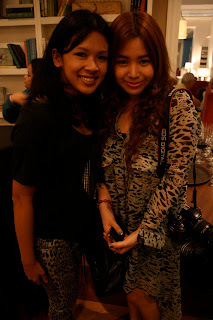 With Arnie Villanueva of Raid My Closet and her friend Gia. With Jenny Manongdo of Manna for Jenny. With Bec San Diego of My Gorgeous Pink Cheeks. 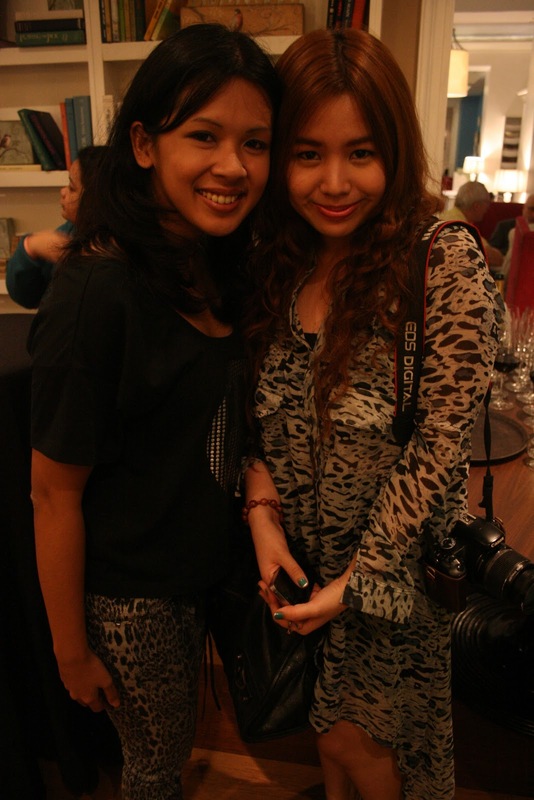 (left) With Cristina Decena of Strutting on Sunshine. 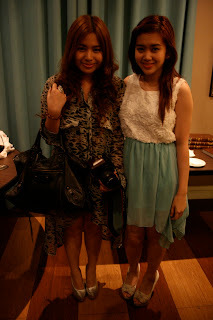 (right) The beautiful Decena sisters. With Yna Amores of The Girly Diaries. She'll be launching her very own line soon btw!!! So exciting!!! :) Please support her when the time comes. I know I will. I actually already ordered a skirt from her. Hehe. Once everyone was settled down and full from the delicious buffet, Sidney Ang told us all about EMO Jewelry and what sets it apart from other jewelry companies out there. It turns out that his sister was "emo" once upon a time, and the name just stuck. However, he also reminded us that "emo" is actually short for "emotional" - something that women tend to become when they see jewelry that they like... So true! I don't know about you, but some jewelry pieces make my neck and ears itch like crazy and then I cry a lil bit inside and never use them again. Well, you won't have that problem with EMO. Since all of EMO's jewelry is made out of stainless steel, you can be sure that you will never experience an allergic reaction when you wear them. 2. It looks like real gold and real silver. This was actually proven to us at the event itself. Along with two other bloggers, I stood there in front of everyone trying to figure out which of the necklaces shown to us were white gold, silver or stainless steel. They all looked pretty real to me, to be honest, but they were actually all made out of stainless steel! Mind. Blown. 3. It doesn't become dull. No matter how much time goes by, EMO jewelry will never become dull. That's right. Since it is harder than most metals, it keeps its polished luster and will therefore always look amazing. The interior really looks nice. And the necklaces look beautiful! Thanks for commenting on my blog :) Those are some pretty AWESOME chokers if you ask me... If you like we could follow each other? Thank you so much for your comment love! I appreciate it! I will be working on the 1920's one soon so look out for it! I loved their jewellery! They have some really nice pieces! looks like a great time! love those chokers! P.S. you still aren't listed as one of my followers yet. Wow, awesome jewelry! That cuff is AMAZING. Looks like a great event and I can see why you want your apartment to look like that!! hello babe! yes I'm from the south :) how about you sis? These jewelry pieces are GORGEOUS. I love anything shiny.